Skype's video messaging service is rolling out right now, so fire up the program if you want to send a clip to a friend. The feature lets you send someone a video message of up to three minutes long, which they can watch the next time they come online. It's like a visual version of voicemail. Or you can send a pre-recorded message to someone who's already online. Skype is rolling it out now to a handful of countries, including the US and UK, and is looking for feedback before launching it fully. It'll be a part of the latest version of Skype for Mac, Android, or iOS. Windows is conspicuous by its absence, especially considering that Microsoft owns Skype - though anyone using Skype on Windows or Windows Phone will be able to see the messages by clicking a link. They just won't be able to send them. The feature will eventually find its way onto all platforms Skype operates on. A Skype spokesperson wouldn't be drawn on when the feature will reach Windows. 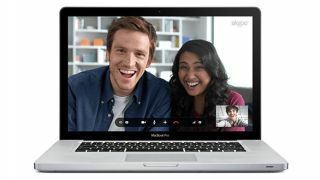 They told The Verge they were "pleased there's interest for Video Messaging to come to Skype for Windows and Skype for Windows 8", and that they would "let you know" when it expands to Microsoft's desktop OS. The feature was revealed in an update to Skype's terms of service last year.